31 newly designed rooms were unveiled in July 2016 at our Tune Hotel, Liverpool Street, featuring in-room mood lighting control and 40” televisions. 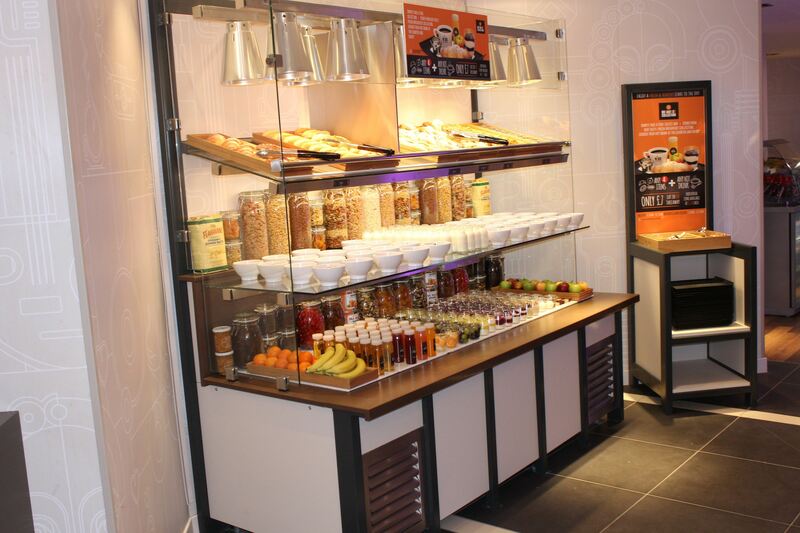 The hotel was also the first in Tune’s growing UK portfolio to feature a new breakfast offer for guests. Responding to the rise in guests looking for high-quality, great-value breakfast while staying in Tune locations, the hotel is introducing a £7 morning meal package. This includes five breakfast items one being a hot drink, allowing guests to choose their preferred items from a hot cabinet or chiller. The self-serve options include warm petite pastries, mini croissants, yoghurts, fresh fruit, juice, tea and coffee, so there is something to suit all tastes. General Manager of Tune Hotel, Liverpool Street, Ally Pasaprates said, “There’s so much to look forward to this summer - our additional bedrooms as well as being able to offer our guests on-site breakfast. It goes to extend our brand promise of great value rooms with high-quality basics including excellent beds, powerful showers, central locations, a clean environment and 24-hour security”. The new breakfast offering was introduced to Tune London, Liverpool Street in July and will then be rolled out to other hotels.